Yachtzoo has just signed the 37.8m motor yacht Magix as a central agency for charter and is offering her in the Eastern Mediterranean next summer. 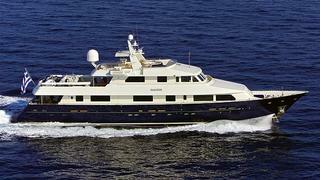 Built by Heesen in 1992 and refitted in 2012, she accommodates 10 guests in three double and two twin staterooms. Charter availability is from April 1st to May 31st and from August 1st to September 14th 2013. Based in Athens, Magix charters at weekly rates of €72,000 in high season and €56,000 in low season.